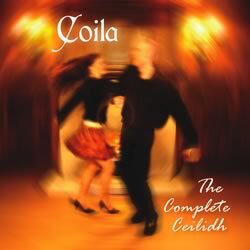 Released in spring 2006 on the Rostral label, Coila’s latest album is intended for listeners and dancers alike, comprising fifteen sets of tunes that can be used for the most popular ceilidh dances. with comprehensive explanations of all the ceilidh dances on the album. which is identical to the standard edition CD. which features the same music, however the voice of the ‘caller’ will guide you through all the dances.